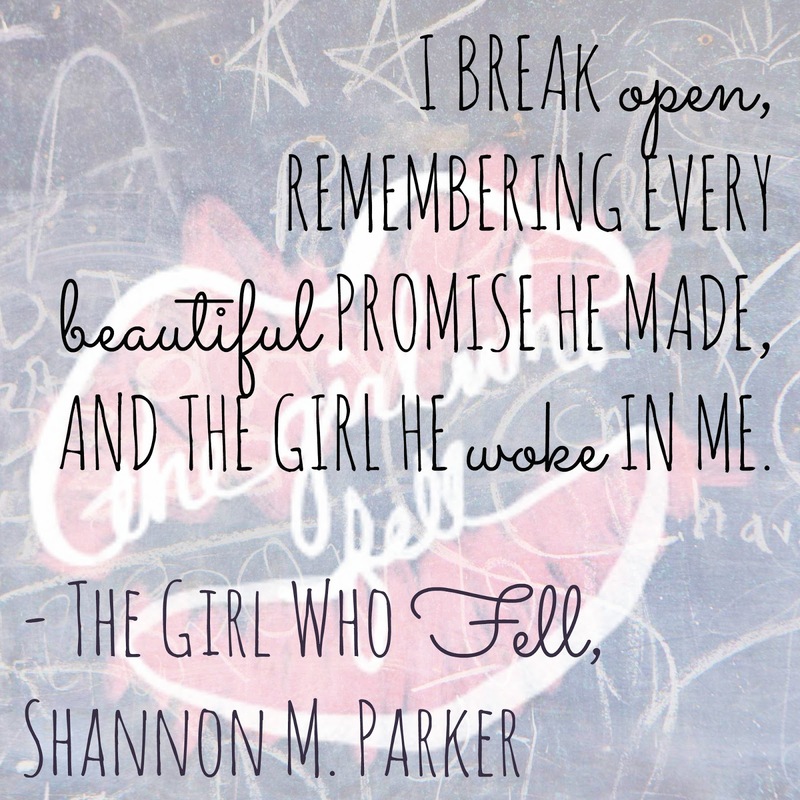 Brittany's Book Rambles: The Girl Who Fell by Shannon M. Parker ARC Review, Interview, + Giveaway! 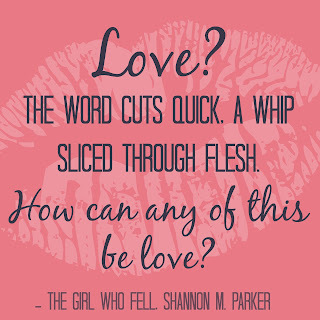 The Girl Who Fell by Shannon M. Parker ARC Review, Interview, + Giveaway! 1) The writing is entrancing and clever. It was the writing that instantly pulled me in and made it impossible to put the book down. I was instantaneously wrapped up in the story! 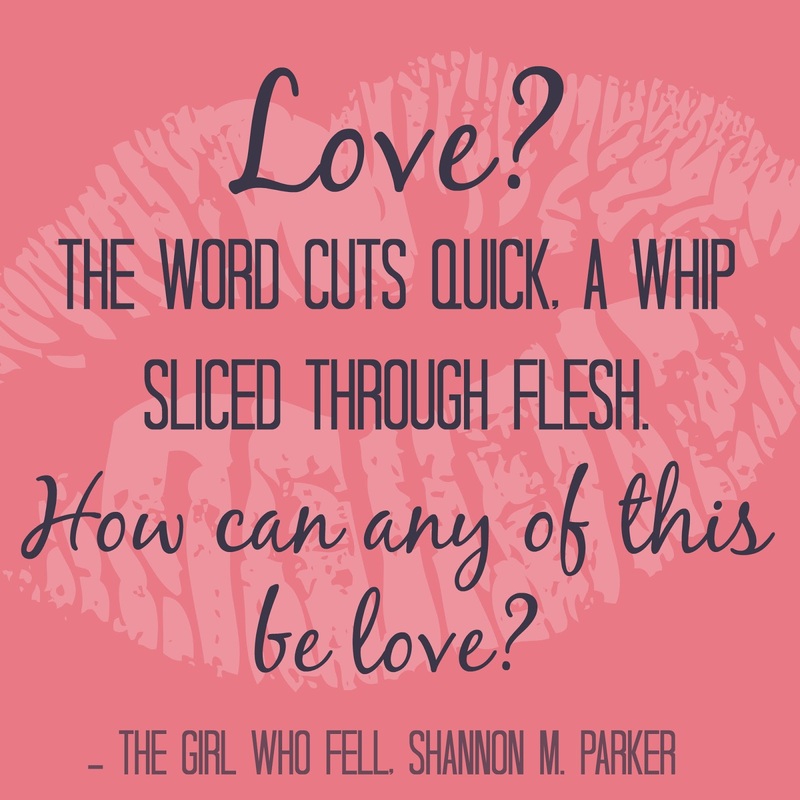 Shannon's ability to engage the reader with her character's voice and prose is incredible. This book definitely emotionally compromised me, and it was awesome! 2) Shannon accurately (and respectfully!) captures exactly what it's like to be in an abusive relationship. She does this without any unnecessary drama, but with pure and raw emotion. 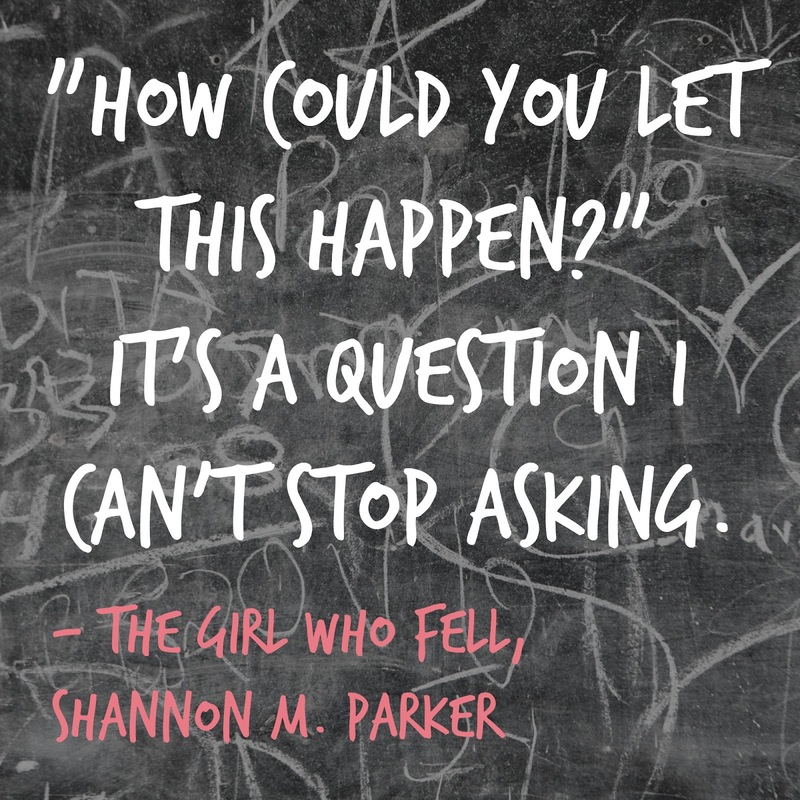 The Girl Who Fell illustrates how this type of manipulative and unhealthy relationship affects not only the people involved in the relationship, but also the people around them. I truly felt what it's like to be in Zephyr's position, and I also saw Zephyr and Alec's relationship through the eyes of the side characters. I'm so impressed with how well this was executed. 3) The characters are very well-developed and they all have distinctive voices. You never question who is talking and you're given just the right amount of information about each individual. Also, each character has flaws! There is not a single character who is simply perfect and can do no wrong—which added to the genuineness of this book. 4) I enjoyed the pacing of this story. It's fast and thrilling, and gets your heart pounding. 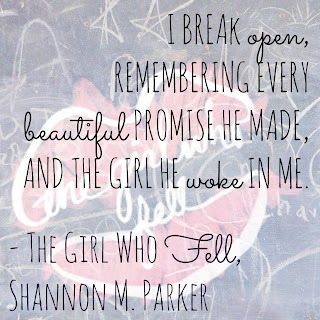 I swear that my hands were shaking as I kept turning and turning the pages. As the book went on, I felt desperate to read faster, to devour the book, and to find out how it all turns out. 5) Despite the dark plot-line, there is still an element of hope for the future. This is so important considering the story's subject matter because it gives the message that it's never too late to turn your life around. 1) I don't want to spoil anything, but there was one (ice hockey related) plot-device that bothered me. As a long-time ice hockey fan and avid ice skater, it was something I couldn't overlook. However, for a person who isn't a hockey fan and/or doesn't know much about hockey equipment, it's probably not something that would even be noticeable. Brittany: Hi Shannon! I'm so glad to have you on our blog today! Shannon: Hi Brittany! Thank you so much for organizing this phenomenal blog tour!! You are an absolutely amazing force and I couldn’t be happier (or more grateful) to know you! Brittany: *blushes* You are too kind! 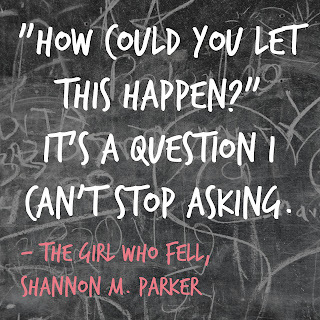 I'll just jump right into the questions because I want all the spotlight to be on you and your amazing book! 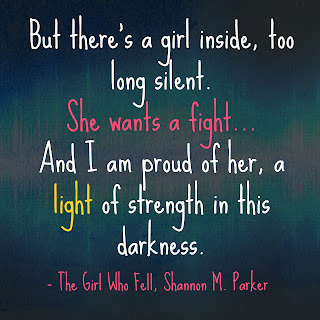 Now then, what is your favorite YA novel, and why? Shannon: Right out of the gate with a softball-easy question, huh? Ha! Okay, I don’t have favorites, but I do have my list of go-to YA books. Jandy Nelson’s The Sky Is Everywhere is one. 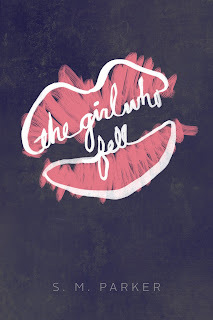 The First Time She Drowned by fellow debut author Kerry Kletter is another. 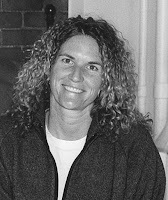 And Underwater by Marisa Reichardt. Everything, Everything by Nicola Yoon. These authors all use language in surprising ways. Their writing is lyrical and poetic and immersive and they have developed some of the strongest characters in the genre. Brittany: Do you have any pet peeves, and if so, what are they? Shannon: Ha! I hate condiments. Does that count? And cruelty. I hate that too. Shannon: Sensitive subjects that aren’t handled with sensitivity. Brittany: What was the most difficult thing about writing a book for you? 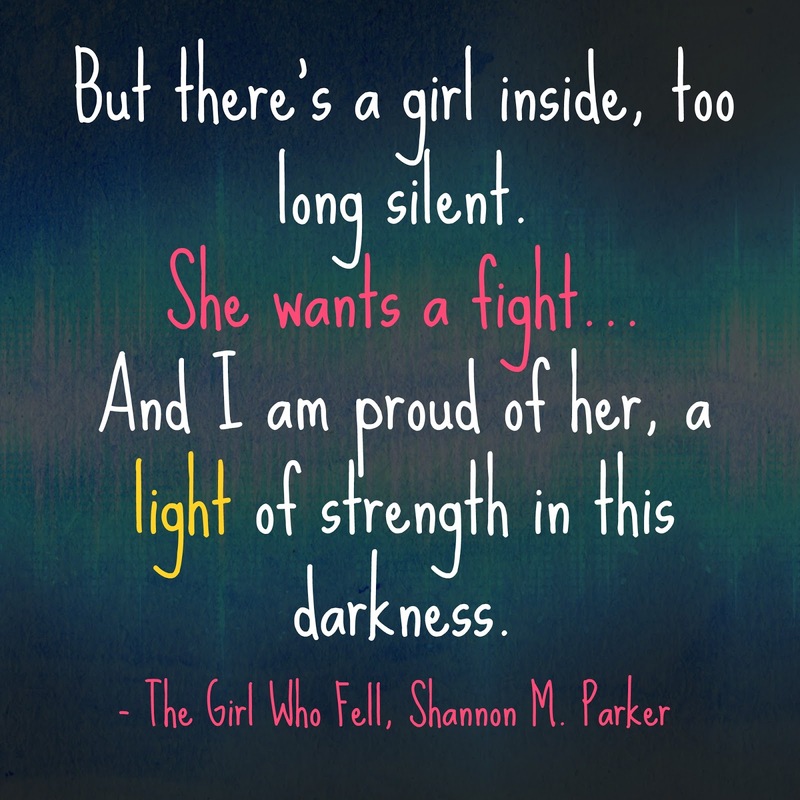 Shannon: Well, self-doubt is pretty crippling. There’s a lot of that. When I do manage to push that aside, the writing comes fairly easily. Still, I think it will always be hard for me to set my work free in the wild. It is all at once a beautiful and frightening endeavor. Thank you, Brittany. 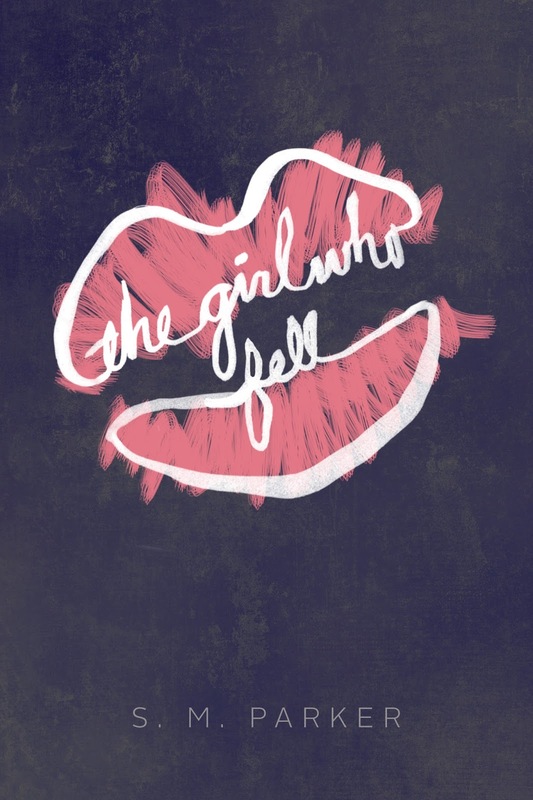 For everything you do for The Girl Who Fell. For everything you do for authors. And readers. You are one of a kind, girl! That's awesome! It'll be worth making your wallet cry, I promise! This book is my TBR list for the next two weeks! I loved your review, and I cannot wait to read it! Yay! I'm glad you like the review and I hope you love the book! I haven't heard of this book, but wow, your review makes it sound powerful. I like that the author warns you in the prologue, but then the writing just takes you in anyway, ignoring the warning.